Step up into the superb new BRAUD 9000L cab. You will find it has been designed to fit you perfectly. Note how the seat and the steering wheel adjust to suit you. The standard armrest, with integrated joystick, provides easy access to the most used functions. The harvest season is now shorter than ever. 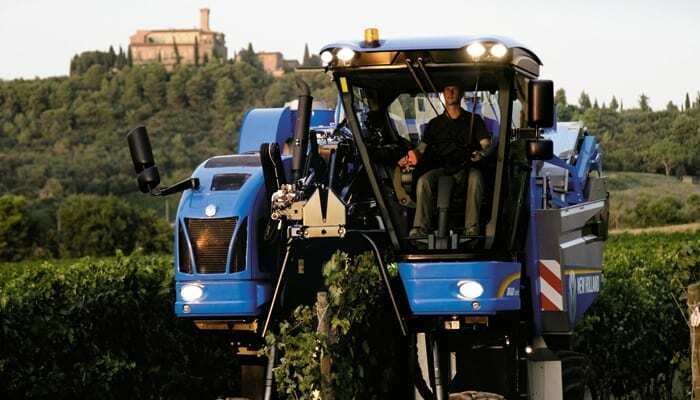 The new 9090X series can be set up to work in different vineyards and super intensive olive orchards in the minimum of time for maximum efficiency. Braud Harvester are hard-working with deluxe features and big power to handle every chore. New Braud technology in our ECO engines will help to reduce your fuel bills. BRAUD harvesters are designed to be set up to work in different vineyards in the minimum amount of time, for maximum efficiency. Choices of four or six cylinders, Braud engines deliver more power and torque with 35% fuel savings on average. Brauds are designed with the efficiency of the SDC shaking systems and recognised as the best picking systems. Each shaking rod is independent and attached at the rear on a maintenance free flexible rid fixation to softly shake and detach the grapes. The NORIA basket system offers the most gentle treatment of the vine and harvested crop, available in either 2-hopper or side conveyor configurations. While the harvest season may be getting shorter, there is certainly no reason to keep your harvester locked away until next season. 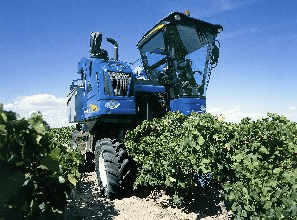 The base unit of the Braud harvesters are designed to be used all year long, from pre-pruning, foliage maintenance, spraying and back through to harvest. A new patented system was developed to couple and uncouple picking heads and a new front tool carrier to be fitted with implements was developed. 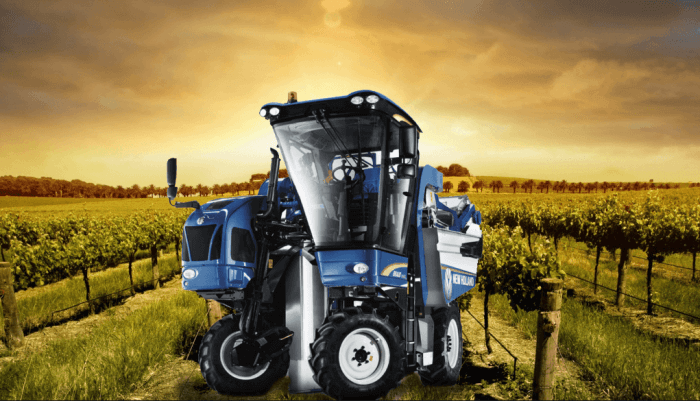 Braud Australia and the wider dealer network sell a great range of these additional implements to complement the Braud/New Holland systems perfectly. Browse through the vast selection of harvesters that have recently been added to our inventory.